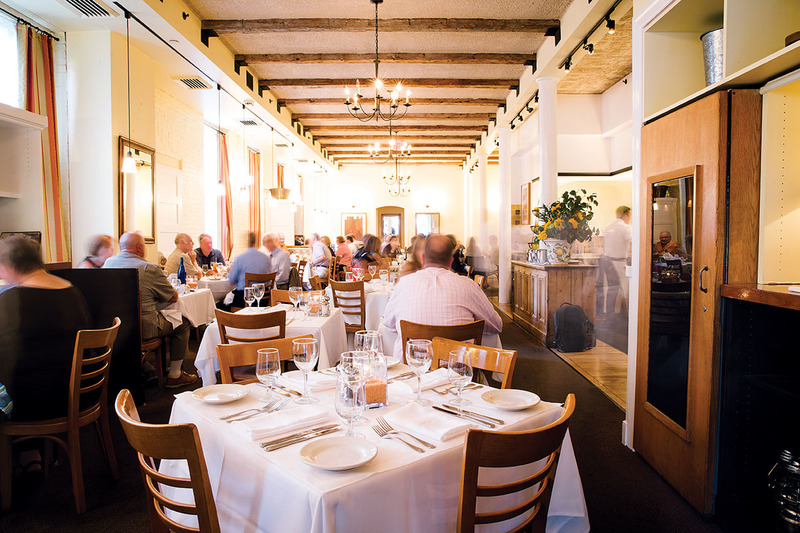 With Gordon Hamersley’s iconic South End restaurant set to close at the end of this month, Corby Kummer bids it a proper farewell by taking stock of the bistro’s unprecedented success. By Corby Kummer·	 9/30/2014, 3:45 a.m. There were Boston restaurants, and there was Hamersley’s Bistro. That’s what I always told newcomers when they asked about the local dining scene. It was in a class by itself: casual yet completely assured, full of life yet never full of noise, a place where you could feel celebratory and festive yet still manage to carry on a serious conversation. It was, simply, the place to go for serious food that never took itself too seriously. And it was the best restaurant in Boston, both because and in spite of the fact that it never set out to be. The original Hamersley’s Bistro, which opened in 1987 on what was then a somewhat dicey stretch of Tremont Street in the South End, was where I started my first long-term relationship, and one of the most important friendships of my life. Where I took the late New York Times journalist R. W. Apple, a fan and pal of Gordon Hamersley’s. Where you could often see Julia Child, who discovered Hamersley while he was a young cook in Los Angeles and convinced him and his English wife, Fiona, to move east and shake up the Boston food scene. Where most any night, the city’s power brokers and couples celebrating anniversaries would sit among the otherwise invisible Brahmin elite, who, after dinner, seemed to go right back into the yellowing pages of the Social Register. When the restaurant opened, it was the one place other than Icarus that could draw anyone to the far side of Boylston Street. By the time Hamersley announced, late this summer, that after 27 years he would close his restaurant—where he had provided the vision and the food, and Fiona the wine, the look, and the hospitality—the greatly expanded space down the street from the original location had become the linchpin of the city’s liveliest Restaurant Row. Because Gordon Hamersley is a low-key guy, it wasn’t always obvious that he was our very own Alice Waters or Wolfgang Puck. Yet Hamersley (who had worked for Puck at one of his first jobs) was as influential within Boston’s restaurant culture as they were in theirs. Like them, he committed to using every part of an animal rather than only the prime cuts, consistently allowed farm-raised ingredients to shine, and continually drew inspiration from the place to which he was first loyal—the south, and especially southwest regions, of France. Trends passed him by. He was just as happy never to have touched a sous-vide machine. 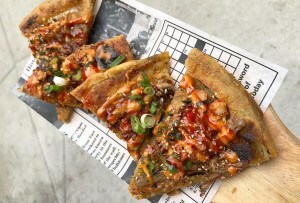 He never went for fusion cooking, as Jody Adams, his opening sous-chef, recently told me: “If something was Asian, it was Asian. If it was French, it was French.” Hamersley’s food was French, his plates large and straightforward, his approach very American. He forged his own unique style: American bourgeois cuisine. Dozens of other former apprentices still turn up in new restaurants. “It’s so apparent that when you become a chef, you become a teacher,” Hamersley told me recently. “Your job is to teach people what you would do yourself if you had a thousand hands.” Replacing Jody Adams as sous-chef was Steve Johnson, who recently closed Rendezvous, a direct heir of Hamersley’s in its spirit, care for customers, and skill with a roasted bird. 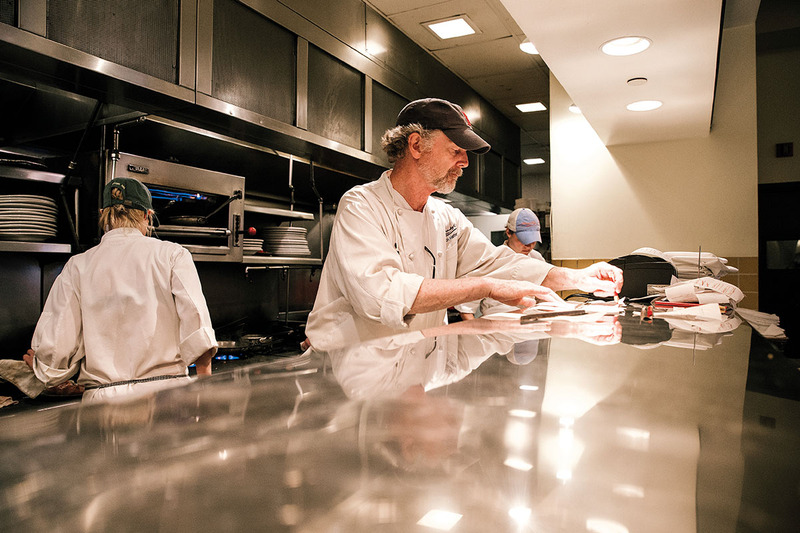 While the cast changed—slowly, because Hamersley wanted to make his kitchen a good place to work, and both cooks and waiters stayed for years—the presence of the chef in his open kitchen did not. Night after night after night, Hamersley, in his signature Red Sox cap, could be spotted working the line. What other chef who consents to open for Sunday brunch actually shows up and works the egg station at that? If I didn’t go as often as I wanted to, it was because Hamersley’s had long ago passed from being a casual restaurant to, as Hamersley himself put it, “a casual restaurant with not-casual prices.” But a few recent visits made me remember why I loved it so much, and allowed me to re-sample the kinds of dishes that are not just Boston benchmarks, but benchmarks for how food should taste everywhere. Should I start with the chicken? Unfair, because it became the restaurant’s signature, though Hamersley says he never meant it to be—he and Adams were simply attempting to emulate chicken with 40 cloves of garlic, an ’80s company dish. 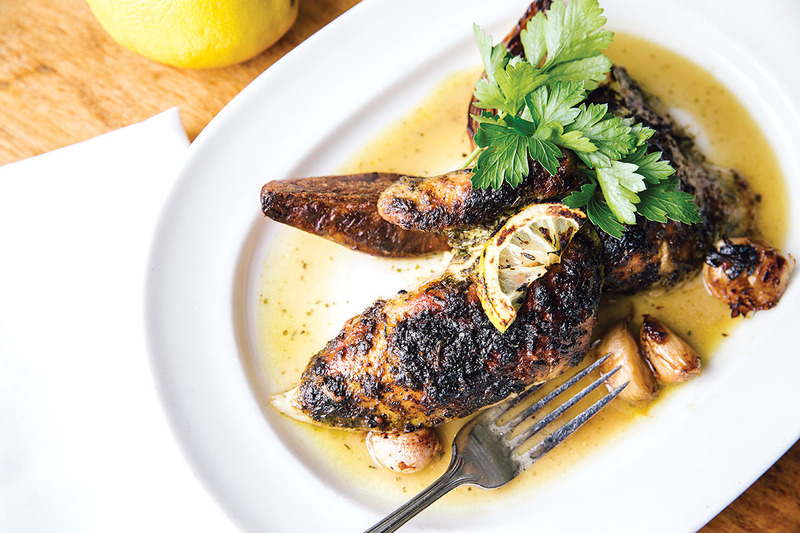 Using plenty of garlic and lemon, they came up with an herb-oil-mustard marinade with the consistency of mayonnaise, which they slathered on the chicken (the recipe is in his very good cookbook Bistro Cooking at Home). When I had it again, I understood why it became, and remained, so famous: It’s a homey, comforting dish, moister and less sharp-edged than the country’s other most famous roast chicken, at San Francisco’s Zuni Café. It’s the slower roasting and the jus, essence of chicken enriched with not too much butter and a lot of herbes de Provence, that make the difference. The moist white meat, the runny sauce—this is what gives comfort food a good name. So is the roasted chunk of potato next to it, with a thick wall of peeled flesh exposed to the dry heat of roasting, sauced with the jus so that it, too, is flecked with herbs. It’s utterly open food. That’s what struck me again and again as I ate, beyond the generous portions: Hamersley has never been afraid to be candid with his cooking, to let a big chunk of potato speak for itself. What sets his food apart from almost everything that came after it is the lack of irony, or really any self consciousness at all. Take, for example, his Provençal olives. Kept over a pilot light to be served warm, they are fat, soft, and lush from being simmered and then steeped with orange peel, garlic, and herbs, so that you wonder why you’d eat olives any other way. I first understood how succulent duck confit—the meat warmed for hours, days even, in its own fat—could be from Hamersley, who always kept it on the menu as a first course. In the winter he would pair the same confit with homemade sausage for a world-class cassoulet. Chefs today often fear frank flavors. They shouldn’t. Case in point: Hamersley’s grilled bone-in Berkshire pork chop, hefty at 12 ounces and tender and sweet as veal. First, the dish is heaping. Second, he pairs the grill-charred meat with fashionable pickling flavors, but in a less aggressive mode than the buzzy spots of today: the summer vegetables of a giardiniera—wax beans, carrots, zucchini, red onions—in a mustardy vinaigrette with pickling juice. (The criticism he often has of colleagues’ food, he said, is that it lacks acid.) The sauce for the pork has more pickling juice, with more mustard, pork stock, and white wine. The German potato salad served with it has chunks of floury boiled potatoes in a sharp dressing with onion, vinegar, and sugar—old-fashioned flavors that hit you with bold, unadorned power. The Hamersley’s diaspora will be felt for years. Every person who passed through Gordon Hamersley’s kitchen benefited from his approach of chef as teacher and, with luck, will pass along these lessons to the next crop of young chefs. For starters, I’m eager to see where Jason Hanelt, the current chef de cuisine and a 16-year Hamersley’s vet, will land. But for now, I’ll have to be satisfied with the knowledge that I can still get that chicken and that confit one last time before the restaurant closes its doors. I’m seizing on the reality while it lasts, and will be counting on the legacy when it leaves. 553 Tremont St., Boston, 617-423-2700, hamersleysbistro.com.